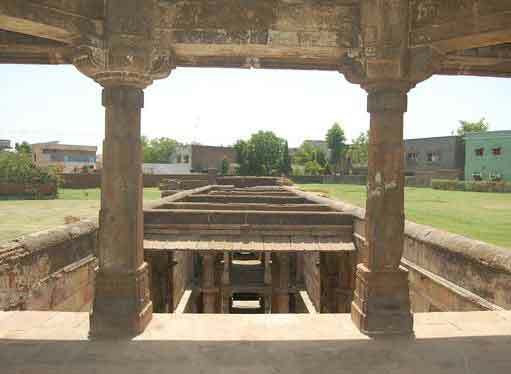 Jethabhai`s Stepwell (Ahmedabad). This Stepwell was constructed by Jhetabai Jivanbhai in 18th century A.D. Numerous ancient ornamental parts were used in construction of this Stepwell. The Stepwell has four pavilions of different formations and an entrance pavilion on a raised platform. The first, second and third pavilions are made of three and four rows of pillars and pilasters.